Blue Oval’s ultra-hot compact crossover is not going to have as hot price as we thought. According to Cars Direct, the 2019 Ford Edge ST is going to cost exactly $43,350, including destination. The price may be higher than the outgoing Edge Sport which costs $1,585 less, but the ST-based SUV definitely provides a lot more fun and a bit more power. 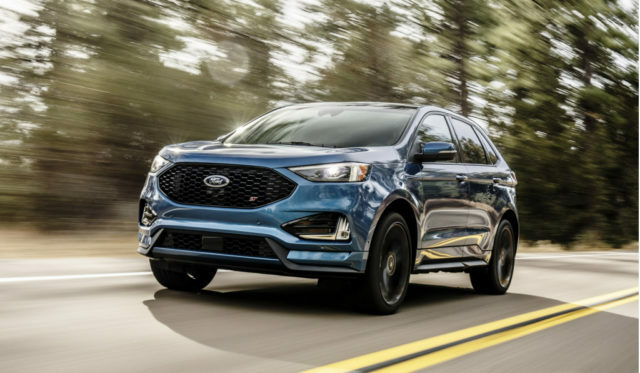 While the Edge Sport was mated to a 315 hp and 350 lb-ft 2.7-liter twin-turbo engine, the all-new 2019 Edge ST offers the same option, yet with 335 horsepower and 380 pound-feet of torque. The additional ponies and twist make the crossover very fast, almost the fastest in its class, while an all-new sport-tuned suspension system raises ride quality on a higher level. The engine comes mated to an eight-speed auto transmission which sends power to all four wheels. There’s a pair of completely new exhaust tips in the back and a quartet of 21-inch wheels. 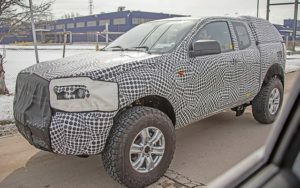 The SUV looks better thanks to a new trapezoidal grille in the front, while the passengers in the front row are going to enjoy in cozy sports seats. 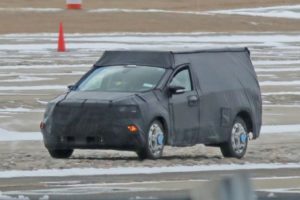 The car manufacturer hasn’t specified the price of the topping 2020 Ford Edge ST. However, since the crossover can add lots of features like performance brake package with vented front rotors and Equipment Group 401A package, it could easily cost up to $52,000. The extra equipment includes a front 180-degree camera, hands-free liftgate, and navigation, as well as brand’s new Co-Pilot360 Assist+ suite. As you can see, the loaded model is going to cost as much as the Acura RDX A-Specs. Usually, this is not Edge’s territory, but this time the crossover could actually pull off pretty good sale numbers. Especially when we take in the account the rest of the segment that includes names such as the Audi SQ5 and Mercedes-Benz AMG GLC43 which cost almost $10,000 more. 2018 BMW X5 Changes: Facelift and Update in 2017?